Our spacious and cosy holiday cottages are a short 10 minute drive from many of Pembrokeshires finest beaches and coastline, Freshwater West being one of those beaches. 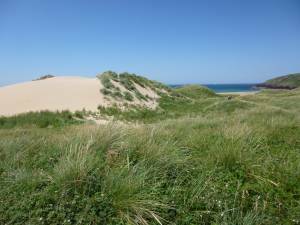 A day at Freshwater West promises to be filled with wild sea, surfing, dune jumping and taking in the stunning scenery. From April 1st you can add eating delicious lobster rolls from award winning Cafe Mor to that list!